When email marketing platform MailChimp began experiencing very rapid growth in 2013, leadership was faced with the challenge of cultivating the company culture and continuing to empower employees. 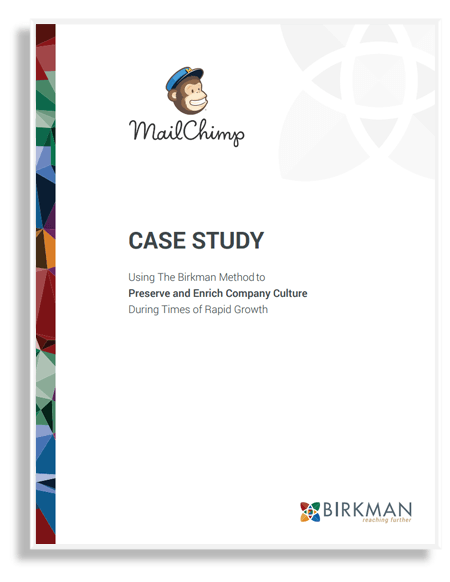 MailChimp turned to Birkman to establish common ground among its employees in anticipation of all the challenging conversations that would likely arise at a fast-growing company. Now with over 500 employees, MailChimp utilizes The Birkman Method for leadership development, team building, conflict management, personal growth, and more.